Hotel Mida is the family hotel you should try for a special holiday with your children. Our deep love for family life is the starting point of our mission. We put family time at the core of your holiday. Are you travelling with your young children? 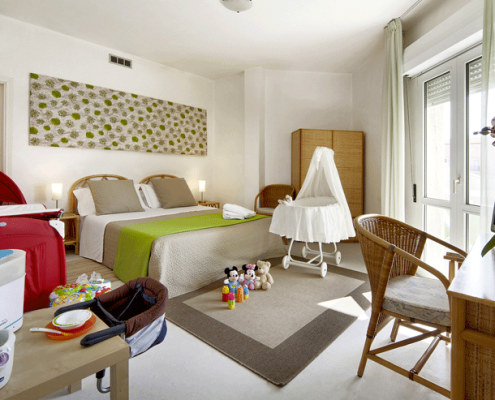 At hotel Mida you’ll find baby cots, changing tables, baby bath tub, bottle warmer and any other baby tools and amenities you could have at home. For your strolls or rides, feel free to contact our staff for baby strollers and bikes with child bike seats. Children are more than welcome to our restaurant “La Rosetta”! At Hotel Mida we offer kids’ menus and a dedicated area to prepare your own child’s meals as well as flexible family dining options: eat whenever it suits you and count on the availability of our chef any time of the day. As we love children we’ve thought of a wide range of dishes even for the youngest: vegetable soup without salt, cereal flours, homogenized organic food. Upon request we serve menus for celiac and intolerants. Last but not list your children will enjoy our rich and greedy afternoon snacks. The sun, the beach and the sea just for you and your children. Your children will love running freely barefoot along the golden sandy beach right in front. They’ll have fun building sand castles, playing with paddles and buckets or practicing water sports. At hotel Mida you can count on a small pediatric chemist. In case of need and upon request, a pediatrician is at your complete disposal. Mums and dads need their holiday too. Would you and your partner quietly go for a stroll, read a book or enjoy some romantic moments, our baby-sitters will be pleased to take care of your children in a safe and healthy wide space in the hotel. 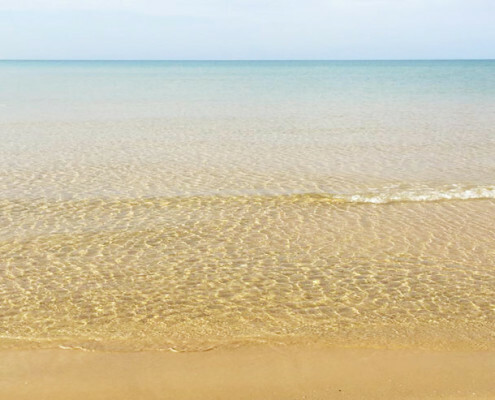 What does a holiday by the sea mean for your children? 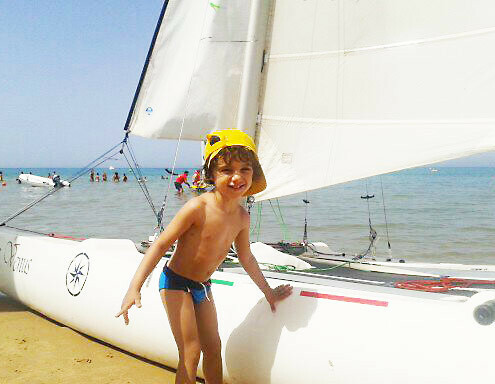 Since ancient times, parents or grandparents have always taken their children to the sea. The SUN and the SEA are good for health in several and important ways. This is even more true in the case of your young or adolescent children. Walking by the shore and breathing, you clear the respiratory airways and heal your respiratory system through a natural sea spray. The sun exposure is good for children. The best-known benefit of sunlight is its ability to boost the body’s vitamin D supply, the metabolism and the mood. Come and enjoy your holiday by the sea, in Scoglitti. You’ll have the pleasure to go for a stroll by the shore, to bring your children to the local playgrounds by the beach or to play with them on the sand. This can happen all year round in Scoglitti.